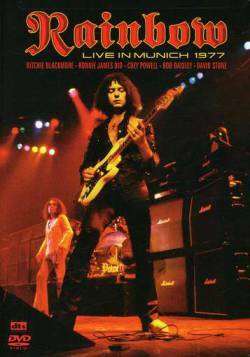 Hall of the Mountain King: Review: Rainbow, "Live in Munich 1977"
If you have any doubt who the greatest singer in the history of metal, heck, maybe in the history of rock ‘n’ roll is, just pop this DVD into your player and fast forward to the second song. When Ronnie James Dio belts out the vocal of Deep Purple’s “Mistreated,” an in-his-prime Robert Plant bows to the mastery and original singer David Coverdale quickly ducks back behind the curtain. There’s so much power in the performance that song alone would be worth the price of this movie, but then you get seven more. Don’t think that just because there are only eight tracks you’re getting cheated either. There’s a lot of free form jamming and improvisation. They pull 12 minutes out of “Mistreated,” nearly 20 out of “Catch the Rainbow,” around 16 each out of “Man on the Silver Mountain” and “Do You Close Your Eyes?” and a whopping 27 minutes from “Still I’m Sad.” The last one also includes extended drum and keyboard solos. After an intro that plays on “The Wizard of Oz” and Dorothy’s “Somewhere Over the Rainbow,” things quickly move to the Wicked Witch of the West’s territory with a blazing version of “Kill the King,” which at under seven minutes is the shortest performance here, but it packs a heck of a wallop. For the next nearly two hours, the audience is alternately pummeled and lulled with numbers that range from a winding journey of a version of “Sixteenth Century Greensleeves” to a stomping rendition of “Long Live Rock ‘n’ Roll” to an extended jam on “Man on the Silver Mountain” that also includes a snippet of “Starstruck” and the “Night People” improv by Dio. Since it’s a song that’s so ingrained in hard rock, I find it interesting that this was one of the first times the band had played “Long Live Rock ‘n’ Roll,” as the album had not been released. I tried to imagine what it might have been like to hear that tune for the first time, as many in the audience surely were. You certainly couldn’t tell it was an unfamiliar tune from their reaction. The performance here makes an undeniably strong argument for Rainbow as one of the greatest hard rock bands of the 1970s. Dio has never sounded better. Ritchie Blackmore hadn’t thought about switching exclusively to medieval balladry yet and was instead whipping out scorching solos that ranged from blues rock to rapid-fire neoclassical runs to smooth, crisp slow leads. Cozy Powell pounds the drums with a vengeance, and Bob Daisley, who would later be responsible for writing some of Ozzy Osbourne’s best songs in the 1980s, keeps time. It’s a powerhouse core group of musicians. That led to a bit of tension in the performance as well, and it was easy to see why this lineup was so sadly short-lived. There are clearly two main attractions sharing the stage, and at times they compete with each other, though in a good way. On “Mistreated,” for example, you’d think that Blackmore’s blues rock licks would be the star, but once Dio steps up to the mic and that monster voice comes roaring out, you kind of forget about that guy playing the Strat, despite his big licks and showy moves. Likewise on “Man on the Silver Mountain,” Blackmore sets a frenetic pace that seems almost double-time the studio version and leaves Dio galloping along to keep up instead of drawing out those big notes. In both cases, though, the performances remain flawless. 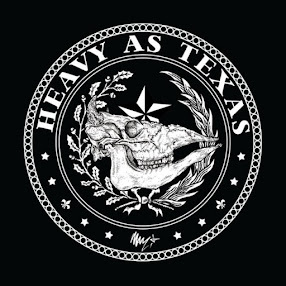 On the DVD version, you get a few bonuses, with some promotional videos, a Daisley interview and a mini-documentary called “Rainbow over Texas 1976,” which is basically strung together low-quality clips of a live performance with some interviews interspersed. The two-CD set only gives you the audio, but it’s more than worth it. Live in Munich showcases an amazing band at the absolute height of its powers. It was an outfit that, sadly, would only last another two years. Dio would move on to make a couple of amazing records with Black Sabbath before embarking on his successful solo career. Blackmore would carry on with a string of new band members and a much more commercial direction that lacked the power of the three records with Dio. But for this shining moment in Munich, Rainbow was easily one of the best ever.